I’m sure there will be different opinions on this custom built Dodge D100 street truck, but considering the builder has done another 4 of these in the past I believe he has the right to have his own style. This particular build called “Double Wide” combines parts from both the 1963/64 models plus a lot of custom work starting with the chassis. 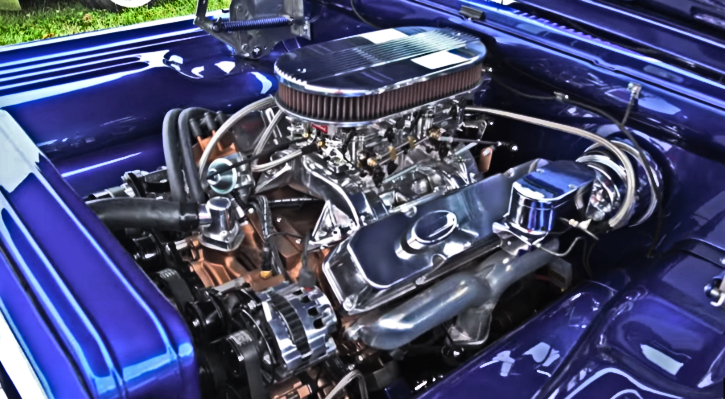 The Blue paint is a modern Dodge color, the wheels fit right, the interior is a real work of art and under the hood this Dodge D100 street truck is fitted with a Big Block 413 with two fours attached to 727 automatic transmission. 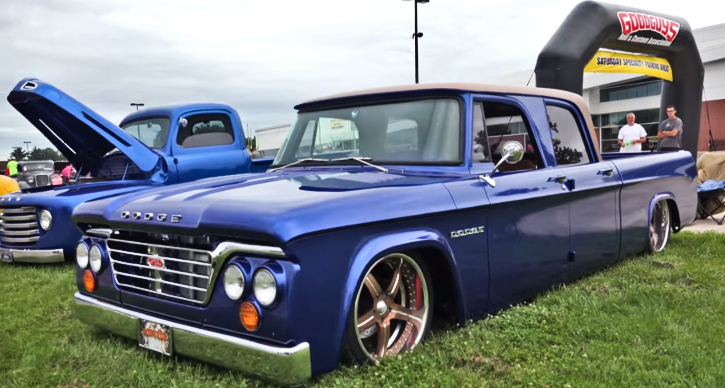 Check out Scottie’s video from 2018 GoodGuy’s Nats to see more on this cool Mopar truck and don’t forget to Share!